I previously mentioned that going into this year I was still uncertain as to the future plans for the farm. After having spent the last week dragging myself out of bed to attend to the livestock, I have made a decision about the farm. 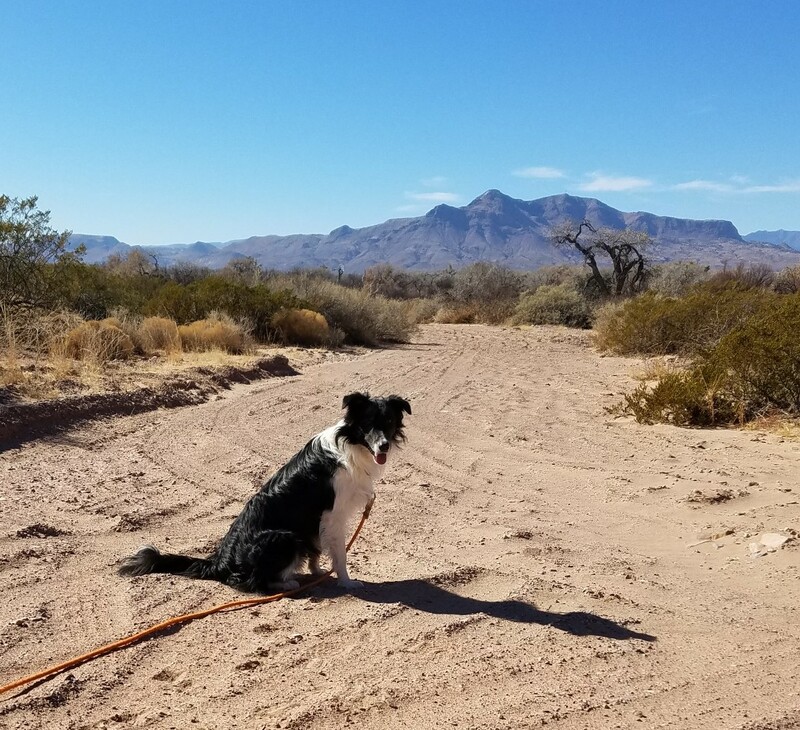 Fix, my young English Shepherd, turns two tomorrow. He is an exceptionally nice dog – very good structure with effortless movement and a wonderful temperament. However, while he has shown a lot of potential as a working dog, he has been very slow to mature. While this was not a problem when I had Tuck and I could afford to wait for Fix to grow up and develop into a useful chore dog, Tuck is no longer around and I can’t wait any longer. Fix on his good days (i.e., when his brain is engaged) has proven to be a useful dog. However, Fix, as is the case with most adolescent males of any species, lacks focus and all too often will start a task and then find something different to engage his focus. Losing focus while moving stock in open spaces can be, and often is, disastrous. So, while there are some tasks that Fix can do, and does, on a regular basis, there are other tasks where I no longer even try to use a dog. The bottom line is that I can no longer effectively and easily raise sheep. 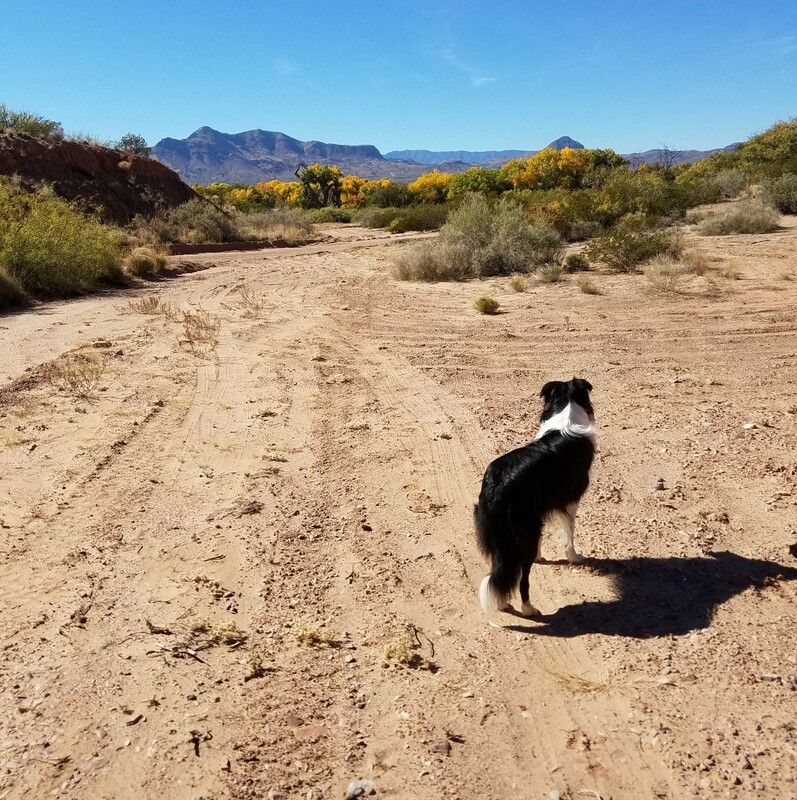 Since losing Tuck last June, I have been looking for another working English Shepherd. After many frustrating months of no prospects, a friend found a litter in Virginia that had potential. Unfortunately, based on her evaluations of the puppies at 5 weeks and 7 ½ weeks, it appeared that while the litter was very nice, it was unlikely that there was a puppy to suit my needs. 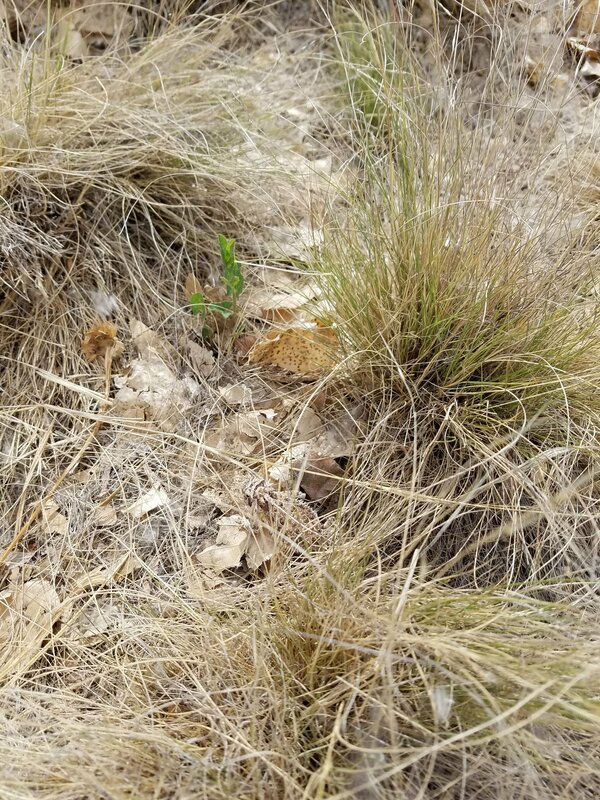 Finally, in desperation I turned to looking for a litter of working bred Australian Shepherds and found a litter on the ground in Texas from a very well known breeder. 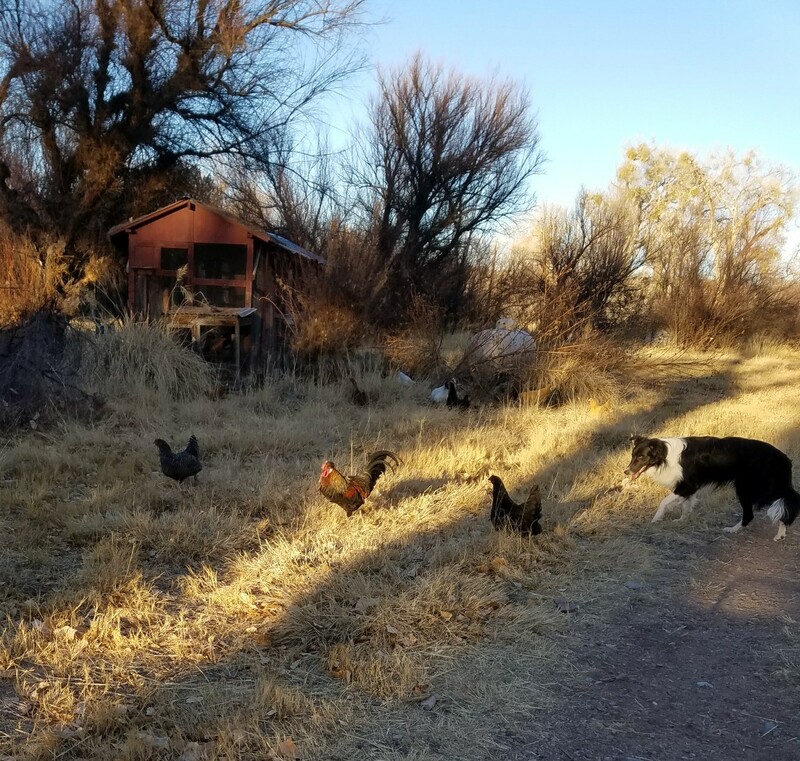 After committing to putting a deposit on a puppy, I returned to my search for an English Shepherd, figuring if I could find what I wanted before picking up the puppy I could eat the deposit. 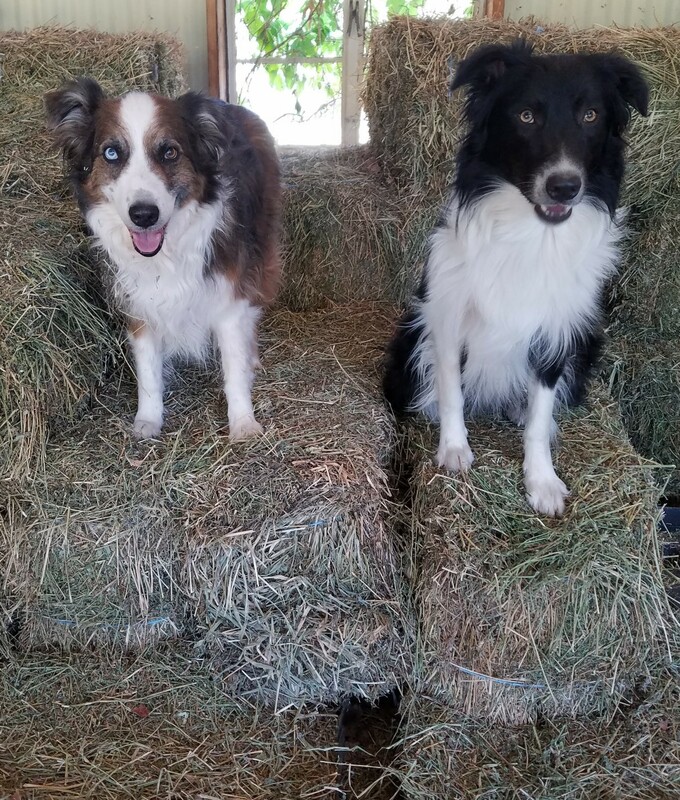 After more e-mails with English Shepherd breeders I have finally faced up to the bitter truth – the majority of English Shepherds today are not working dogs and those few breeders of proven working English Shepherds are breeding a dog too large for my purposes. Over the years I have run cattle, hogs, sheep and goats, not to mention the turkeys and chickens, on my farm and never once in all that time have I ever wished for a larger dog than I had. Since it is important to me that I am able, if necessary, to pick up and carry an injured dog, a 60-70 lb dog is just not viable. I had contemplated getting rid of the sheep when I lost Tuck but several friends discouraged me from making any decisions while I was still grieving Tuck. In hindsight, I should have followed through and off-loaded the sheep last year, but I plan on rectifying that mistake this year. As soon as it is feasible, all of the sheep, and half of the goats, will be off the property. I will make a final decision about the remaining goats at the end of this year when the milk test I started in February is concluded. While I don’t personally observe holidays, when I remember I like to do something special for the dogs. I have been saving the last package of neck bones for today. 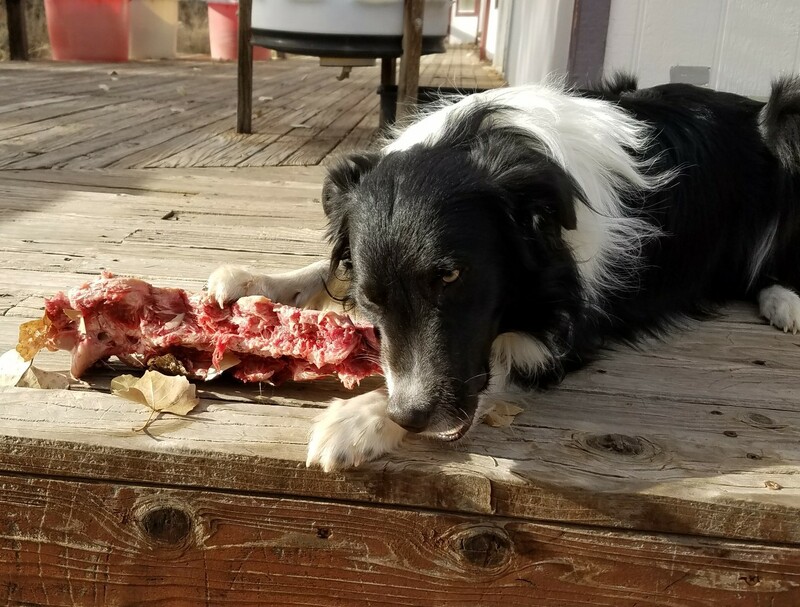 Fix will have completely cleaned all the meat off the neck bones by the time I go out to feed in a short while and then he will carry around the neck vertebrae for several days. Kip, on the other hand, will bury hers after she spends 30 minutes or so chewing on it. (Which then gives Fix a chance to steal hers as well as he is very good at finding what she hides/buries.) And while Sleet would dearly love a neck bone, her teeth just aren’t up to the challenge so she will get a little something extra for dinner tonight. If we were in England . . .
we would be celebrating Guy Fawkes day. However, here in the U.S. I’m celebrating my birthday. 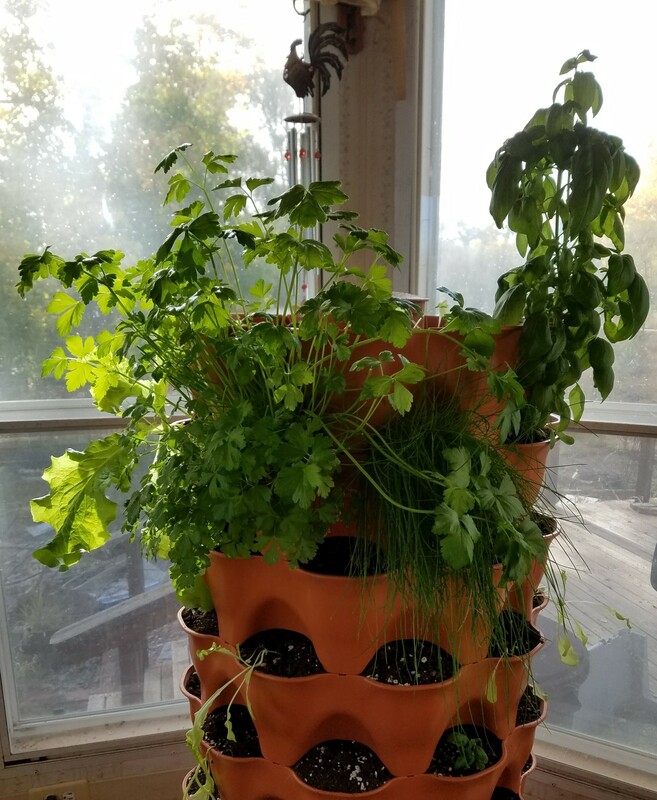 My garden tower in the breakfast room (or as I call it, my home office) is flourishing. I’ve been making pesto from the basil and parsley to go along with the spaghetti squash from my garden and I should have enough lettuce for a couple of salads a week through the winter shortly. 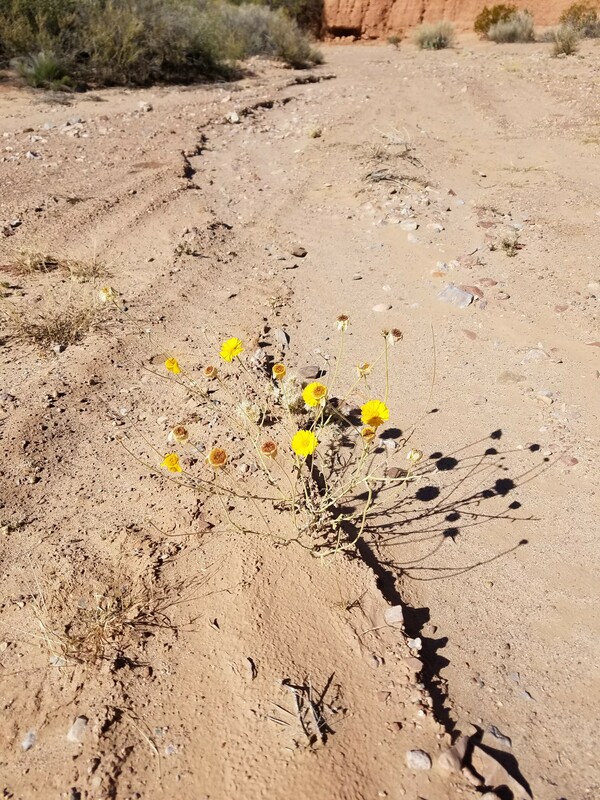 We had some rain a couple of weeks ago and the vegetation took advantage of the water and warmer temperatures. I avoid the Quebradas when it rains because of the potential for flash flooding (the hikes are on the bottoms of arroyos) but it is nice to know that Fix could save himself if needed. The cottonwoods are finally starting to change color. It won’t be long now before all the leaves are gone. The other evening when I was working outside, Fix started showing a little too much interest in what appeared to be a patch of grass. Hoping he hadn’t found a snake, I investigated. 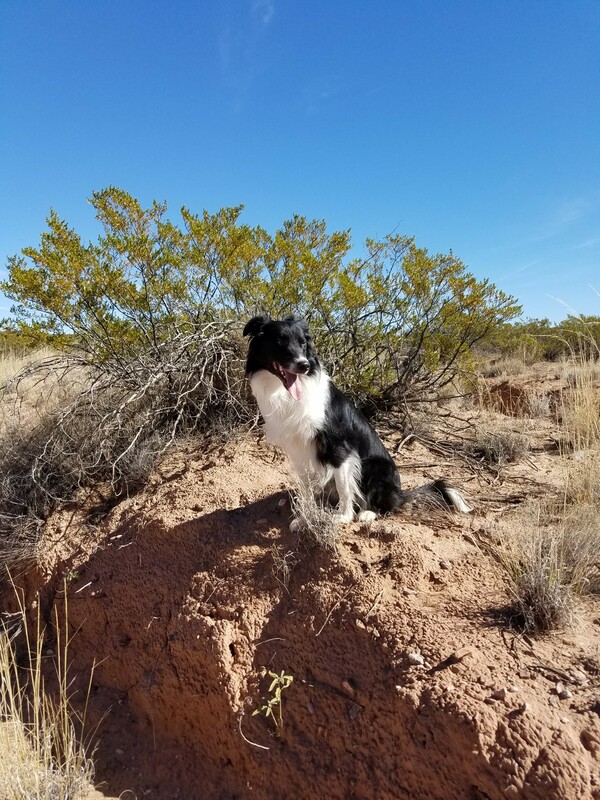 I have seen an increase in lizards this year and Fix has had a great time chasing them (though since he hasn’t caught one I suspect he is just enjoying the chase and happy to let them find a safe spot.) This is, however, the first time I have seen one of these on the property. Can you identify it? When the hogs were butchered last fall I had all the feet saved for the dogs. Fix had hours of enjoyment playing with (and finally eating) the pig feet but eventually he ran out of pig feet. So this winter when a friend and I split a beef, when it was hauled to the butcher I asked for all four feet in addition to my half of the cuts. 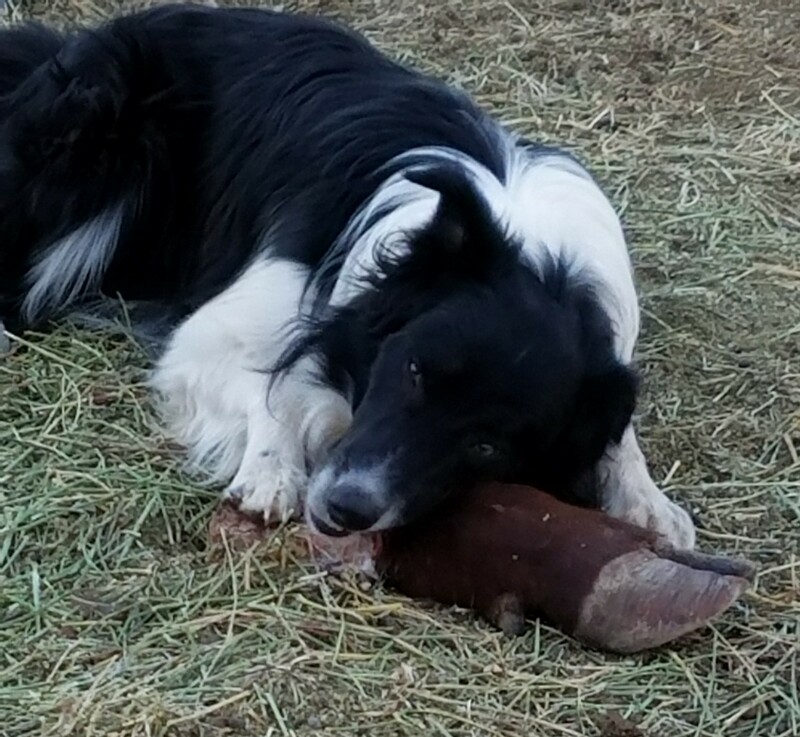 I have a freezer full of grass-fed beef and Fix has four feet to enjoy. He probably thinks he got the better end of the deal. The young chickens are not quite six months old but were large enough to allow out. The first couple of days, none seemed interested in venturing out of the familiar enclosure attached to the chicken coop but eventually the bravest started exploring the area immediately around the chicken coop and the others soon followed. Fix is helping to put the chickens up a couple of nights ago. The rooster is the Icelandic given to me by a friend. Notice how calm and quiet Fix is moving – just enough pressure to move the chickens without panicking them.